John Scholtes and I have been working diligently at putting together our BIG (GLCC EXCLUSIVE) EVENT at the Michigan Proving Grounds in Romeo on Friday June 7th (rain date June 28th). This is one of those events that will be truly a once-in-a-lifetime-opportunity! For those who joined our friend William Deary to take delivery of his Ford GT at MIS and thought a couple of laps on the MIS track was cool…THIS WILL TRUMP THAT EXPERIENCE!!! John and I took a tour at speeds of the high bank and moderate hill road course that we will be using and just one word WOW. There will be limits to our speeds (technically 100 mph) but if you ever had the thought about how your Cobra would handle in hills/road course and the physics phenomenon of driving on banked parabolic track…THIS DAY IS FOR YOU!! Here’s another unique part of this day. For everyone else…no pictures are allowed. But for GLCC they will have a photographer to take pictures for us throughout the day! 8:30 – 9:30 – Arrival at MPG parking lot for check-in. Donuts in the lot! This is not a race but rather instructor led laps at speeds up to 100 mph. While cameras are not allowed we have arranged for a Ford photographer to capture photos. You can drive any vehicle. Not just Cobras. 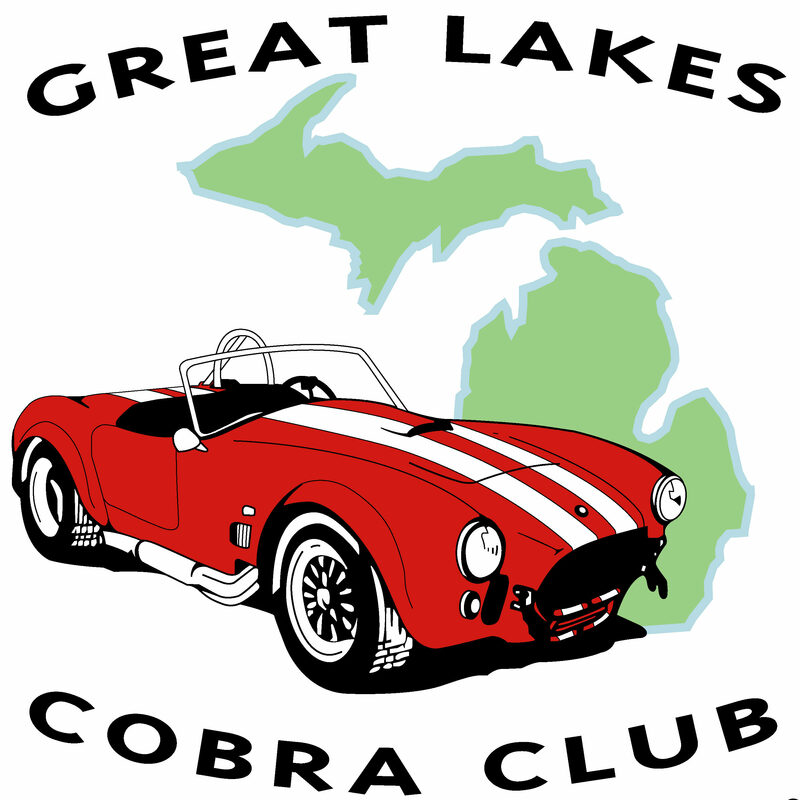 And if you don’t want to drive your Cobra and don’t have access to a Cobra/classic car drive civilian for the experience (at least one member will be doing this as the Cobra is in the middle of construction)! If you have a open seat in your car let us know as several members would like to bring a family member to experience the event. We will publish a vehicle check list to get ready for this event…but in the meantime just consider the basics. Also be sure to fill your tank for the event as the high bank oval is 1 mile long in of itself so if your tank is low likely you could starve your motor of fuel. There is a gas station near the entrance of the facility. Did I say…this is a once-in-a-lifetime-opportunity!